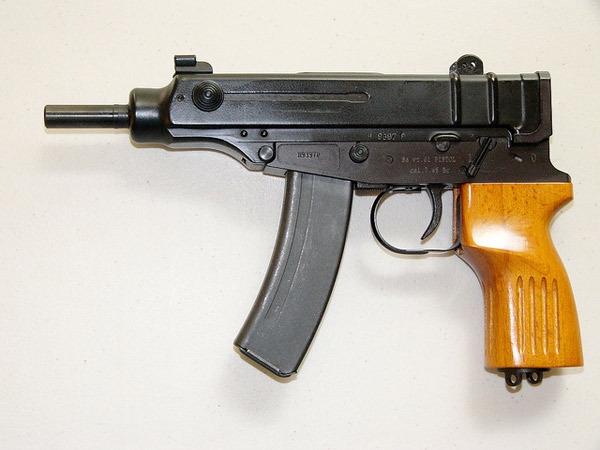 The semi-auto version of the famous CZ VZ 61 Skorpion submachine gun is now available in .32 ACP. This is a unique gun that's fun to shoot. Although it was developed for use with security forces, the Skorpion was adopted by the Czechoslovakian Army in 1961 as a sidearm for vehicle drivers, armored vehicle personnel and special forces. In addition to being featured in many of today’s popular video games, the VZ 61 Skorpion is currently in service with numerous military units, and police agencies around the globe. VZ 61 Scorpion semi auto pistol cal. 32 AUTO, glossy blue, 1x10rd magazine + 2x20rd magazine- cleaning kit, pouch and instruction manual with history on CD.